The internet works in mysterious ways. I bought the Red Knight a while ago when it was on sale with the intention of reading it whenever it fits into my schedule. But as I have a ton of books that fall into that category, the time never seemed right. Then I was reading on Mark Lawrence's blog about 'grim' fantasy books, and The Red Knight was receiving high rankings in a list. Being a fan of Mark Lawrence's Prince of Thorn's book, I immediately went and downloaded the Red Knight. It's a massive tome being well over six hundred pages. It takes place in its own fantasy medieval Earth or at least medieval style Earth. It retains tropes of real-world religion while throwing magic and divisions of that magic into the mix. The 'Wild' that of nature is green in hue and wild in power. The 'Sun' or religious power, is Gold and pure in power. The Red Knight is a 'nameless' knight known as The Captain for most of the novel. He leads a ragtag band of mercenaries through the war-torn world, currently in an Arthurian country where a true king leads his knights into glory for his beauteous queen. The author's writing perhaps isn't the pinnacle of 'grimdark', but people come and go with some frequency. Just when you think, "Ah, this character is important to the plot... oh wait, a spike in the neck, nevermind." Since the Red Knight has a mercenary group at his command, there are a lot of characters to play with. 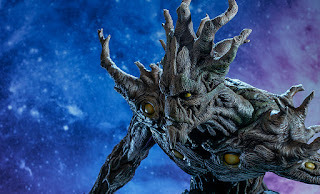 That not being enough though, the author gives us viewpoint characters for the 'Wild' as well, including 'Thorn', the former royal mage who betrayed humanity itself and now looks more like Groot or Treebeard. The Red Knight himself is almost typical in his design. A young man blessed with an extraordinary power which is filled with heresy because of his emo origin. He's an excellent swordsman, he's a great magician, he's a great leader. Yet he's not happy. His angst makes him less than perfect and makes those around him want to help him. As more of his background becomes known, the reader has to wonder how much of his rage is justified and how much of it is wasted. For example, when the Red Knight meets one of his brothers, the two are more or less on the same page and join forces. There are numerous complexities in the novel and multiple factions. The author does what I thought was a great job in showcasing elements that lead you to believe one thing only to turn out to be an entirely different thing. One of its overarching themes though was that of love and sacrifice. In some ways, it reminded me of Wonder Woman. Wonder Woman is there to show how love and sacrifice for others can better the world. When the Wild is perhaps closer than its ever been to victory, one of the key players on the Wild side finds that he cannot do what needs to be done to cement that win. I found it ringing true. But there are also elements that ring about the sacrifice part. The heroes don't just walk away from all holding their heads higher. Many die in the battles, many gain new scars, some scarred in ways they thought themselves immune to. The Red Knight has a lot of things going for it. The large cast of characters, the numerous factions, the exploration of how magic itself works, the red herrings, all provide hours of entertainment. 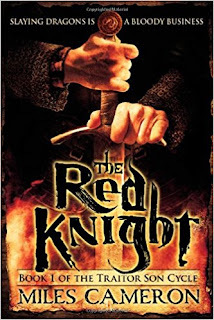 Miles Cameron, in addition to his writing chops, is also a gamer, so if you want to support players who write fiction, especially great fiction, you could do worse than the Red Knight.